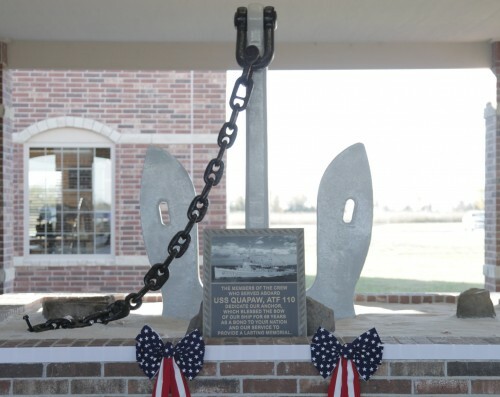 Anchor honor: Former crew pays tribute to ship, and its namesake tribe, in Okla.
You are at:Home»Historical»Anchor honor: Former crew pays tribute to ship, and its namesake tribe, in Okla. The Navy commissioned the fleet ocean tug Quapaw in 1944. The 205-foot ship served in the Pacific theater near the close of World War II, aided warships off Inchon during the Korean War and added to its collection of Battle Stars during Vietnam. Decommissioned in 1985, it came to a less-than-glorious end, sinking at a Richmond, Calif., dock in 2011 and eventually being scrapped earlier this year. But the USS Quapaw Association had one last chapter in mind. 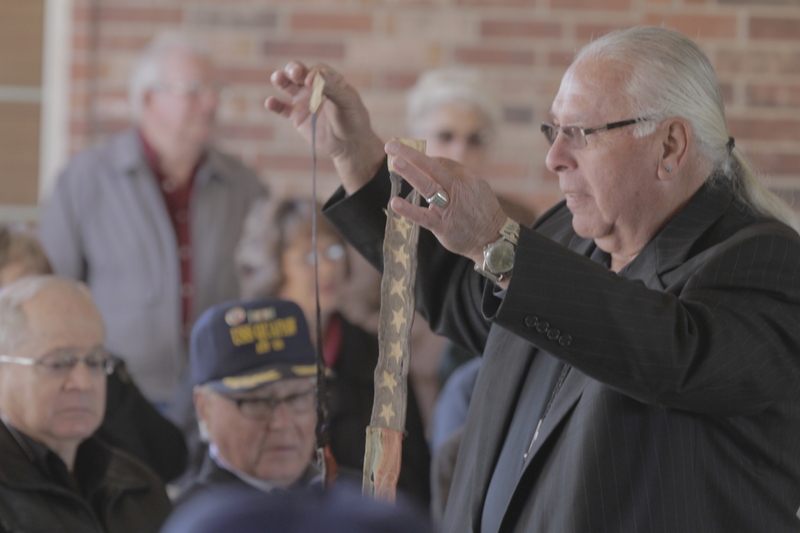 Members asked Allied Defense Recycling officials whether they would donate one of the tug’s bow anchors to the Quapaw Tribal Museum in Quapaw, Okla. 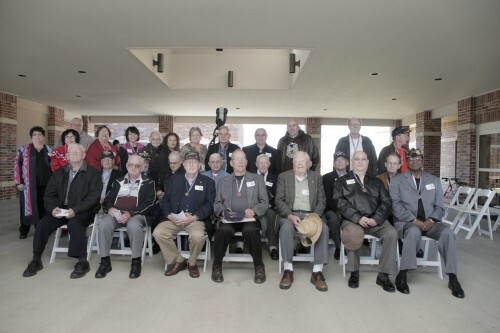 Earlier this month, 18 former Quapaw crew members joined with members from the Quapaw tribe (loose translation: “downstream people“) at the museum to dedicate that anchor, as well as a bronze plaque provided by the association. While the sailors shared sea stories, the tribe members shared a sense of pride in the ship. The vets were given a tour of tribal facilities and a traditional dinner, and even got a write-up in the tribe’s newsletter. Thank you for the coverage. I wish everyone interested could have experience the joy of being there.